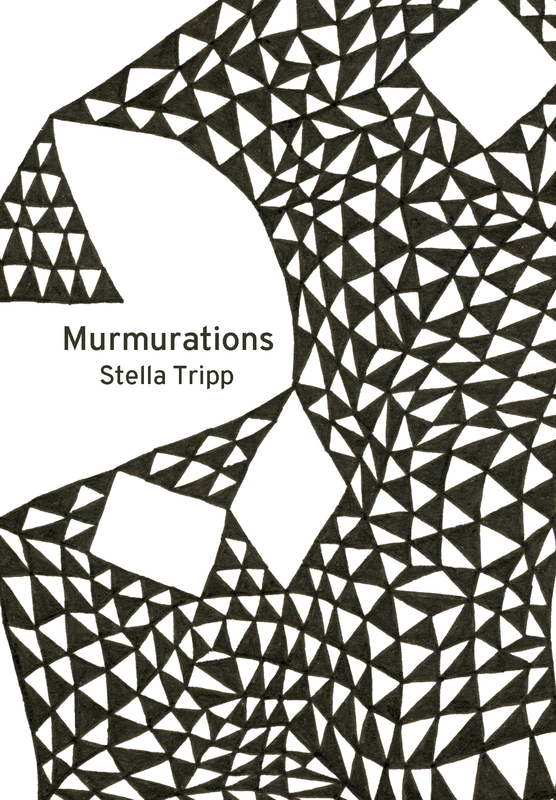 After the success of her first publication for Sampson Low, artist Stella Tripp returns with a new chapbook of mesmeric line drawings. These drawings grew out of two recent series: “murmurations” in which black and white triangles are assembled to create larger shapes; and “grid drawings” in which intersecting lines create a net that twists and distorts but doesn’t break. Combined here in playful visual meditations, they become walls that skew space and embrace difference. These walls can be coloured by the viewer to create new compositions, bringing a fresh sense of collaboration to the chapbook scene. 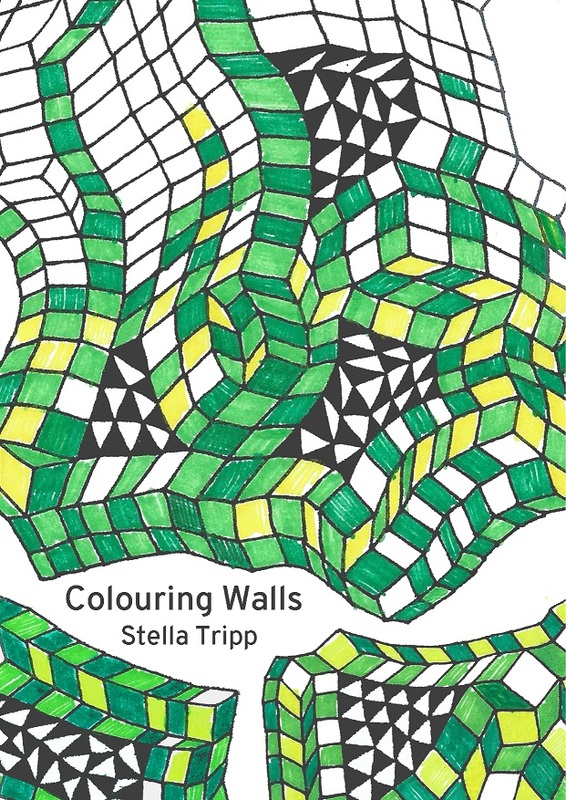 There is a trend for adult colouring books at this time but Colouring Walls is a step beyond the usual colour-by-numbers approach to the genre. It is not easy to choose your path across these walls, do you strike out across a path or wash over the walls with a wave of colour. The choice of course is yours. Use the hashtag #colouringwalls on all social media to find out what everyone else is creating. Stella Tripp is an artist based in Exeter, Devon. Art is her way of trying to understand the world and connect with it. Working with a wide variety of techniques and materials, Stella creates a broad range of art in both two and three dimensions. Going back to basic black-ink-pen on paper – a childhood favourite – is at the same time a relief and a different kind of challenge. This series of drawings started out as a creative exercise exploring the expressive potential of such limited materials. The resulting images could also be seen as a visual metaphor for integration. A set of 14 beautiful and mesmeric drawings from artist Stella Tripp. The drawings pull you in, catch the eye and stoke the imagination. Visual meditations on an individual’s inclination to be a self contained unit, while at the same time being part of the larger unit that is a community. Reminiscent of a murmuration of starlings, each drawing is an accumulation of one repeated shape – or variations of it – creating another shape. Individual triangles shaping and shaped by those around them. Embracing imperfections, relationships, connections, and the spaces in between. What’s left out is as important as what’s put in. Stella Tripp is an artist based in Exeter, Devon. Art is her way of trying to understand the world and connect with it. This series of drawings began during a two year term as president of Exeter Synagogue, and can be seen as a visual metaphor for an individual’s responsibility for shaping society.